For those not familiar with the archaic concept “write a letter”, there are plenty of ways to show your support on social media and Post Apocalyptic Media has gotten the ball rolling on that. The show has a Twitter feed and a Facebook page and BYU TV is also on both Twitter and Facebook. You can also email BYU TV at byutv@byu.edu and/or contact them with their Feedback form. Also, watch the show online at this link. The full season is available and your viewership will be counted. Extinct has proven to be a decent science fiction entry that stands out among the many, many genre shows that Peak TV has thrown at us, and with our support it could survive into a second season and possibly more. You can read an interview with the creative team from Extinct over at Sci Fi Pulse. On Friday, ABC’s Agents of SHIELD returned for its fifth season and posted a 0.7 rating based on same day viewing for the 18-49 demographic with 2.5 million total viewers for its two-hour premiere. That is right in line with its average from last season, which is not too bad considered that it has moved to low-viewership Fridays this year. But it will trend down from that score, as shows typically do after their debut, and I expect it to land in the 0.5 range we saw for The Inhumans after its premiere and where Once Upon A Time has been hovering for several weeks. Whether that is enough to get the show to a sixth season will ultimately depend on Disney. Allegedly, the Mouse House would not allow ABC to cancel Agents of SHIELD after last season, and they could pull rank again if they want this Marvel Universe tie-in show to remain on Prime Time. If so, the alphabet network could just decide to keep the show on Fridays, along with Once Upon A Time, to plug up two low-viewership hours on television, and any additional seasons are just padding out the syndication package which means there will be a return on investment down the road. 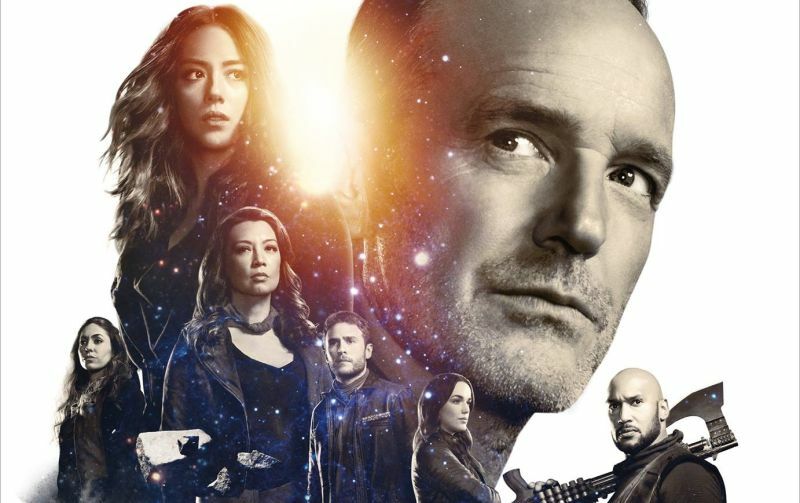 AoS has already received good reviews for its fifth season, and perhaps it could hang on for another year or so. But that will be decided at the corporate level and likely have little to do with the ratings results. Did Agents of SHIELD Star Confirm Cancellation for The Inhumans? io9.com pointed out that Ming Na-Wen may have confirmed that ABC’s The Inhumans has been cancelled at a Heroes & Villains Fan Fest panel. She was asked if Agents of SHIELD might have a crossover with the new show and she said “I think that show got–” before deciding to hold her tongue on the subject. 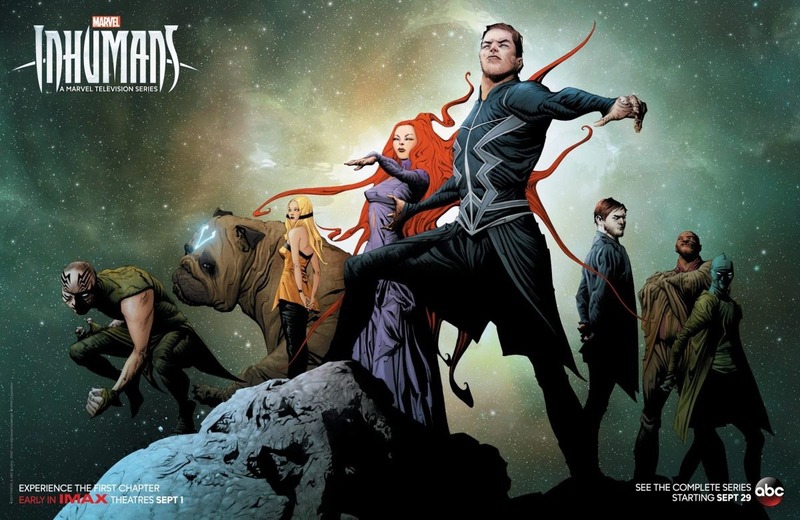 Of course, the likely cancellation is not a big surprise as The Inhumans certainly looks like it will be limited-run-and-done after its poor reception which includes a disappointing run at IMAX theaters for its two-hour premiere. But then cancellation doesn’t mean that a crossover could not happen, and for those of us who actually enjoyed The Inhumans, it would be nice to see the characters show up on AoS. And it would actually make some sense considering the Inhumans connections between the two shows. The ratings have been down across the board in late Fall, and the Syfy shows in particular are struggling. On Thursday, Van Helsing only managed a series low 0.10 rating based on same day viewing in the demo with 335K total viewers and Ghost Wars faded to a 0.06 rating with 251K total viewers. On Friday, Z Nation slipped to a 0.15 rating with 522K total viewers while Superstition had only a 0.07 score with 252K total viewers. Veteran series Z Nation still looks likely to get a renewal despite its slumping ratings, but freshman entries Ghost Wars and Superstition are almost certainly headed to cancellation unless they have international backing that can keep them alive. 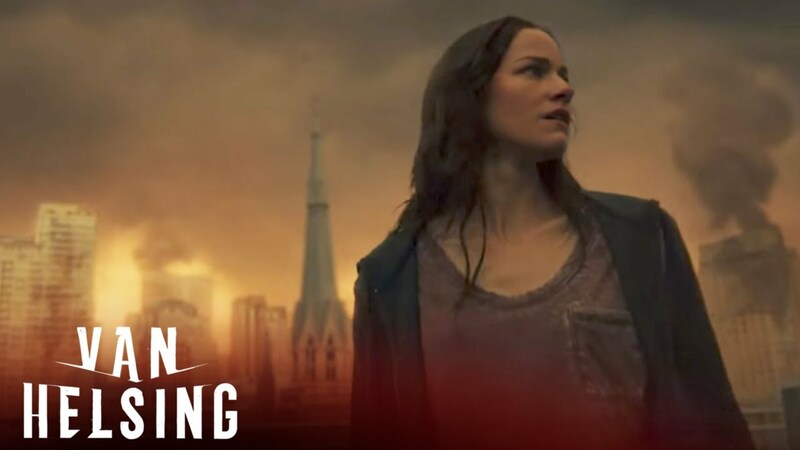 The jury is still out on sophomore series Van Helsing and that one could definitely use a Call to Action from its fans. On Sunday, The Walking Dead slipped to a new season low as it only managed a 3.3 rating with 7.5 million total viewers. I expect that one to rebound with its Fall finale which will air this Sunday. Over on FOX, Ghosted improved from its last new episode to a 1.0 rating with 2.6 million total viewers for its Fall finale, but uncharacteristically lost a notable amount (41%) of its lead-in audience from The Simpsons. That supernatural comedy may already be on uncertain ground and its fate will be determined by how well it performs when it returns from hiatus in January. I covered the early week ratings on Friday at this link and you can see the full ratings results at this link. Be sure to follow the Cancelled Sci Fi Twitter Site for the latest ratings numbers as well as updates and breaking news.